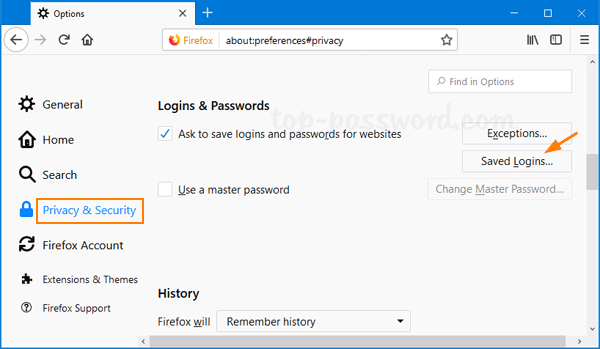 How do I erase my stored user names and passwords in Firefox? Need to clear the old passwords from Firefox that you don’t use any longer? 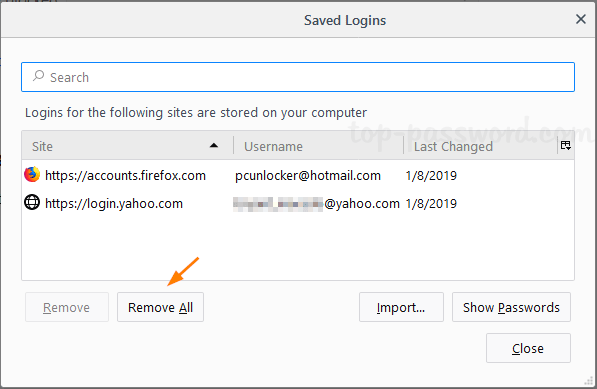 Here are 2 simple ways to remove all saved passwords in Firefox on Windows 10 / 8 / 7, so that you’ll be prompted for new password when you sign into any website. 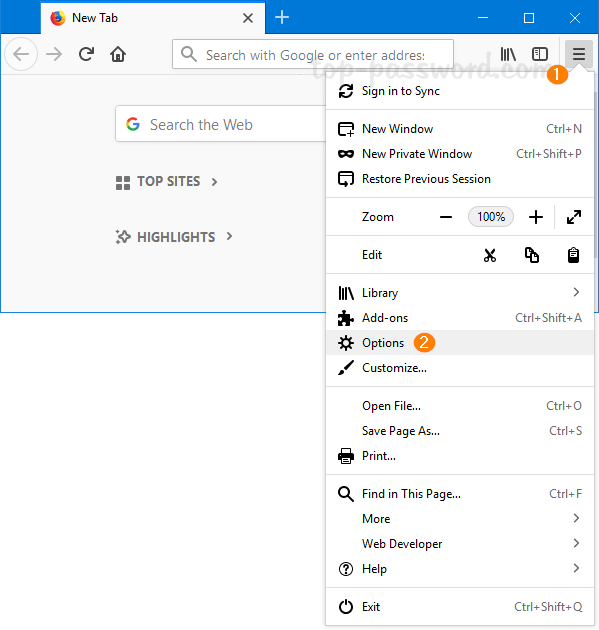 When Firefox is running, click on the Menu button (three horizontal lines) in the far right corner of the browser, and then select Options. Go to the “Privacy & Security” tab. Click Saved Logins under the Logins & Passwords section. The Saved Logins dialog box displays each site for which you have saved your username and password. To delete all your passwords from the Password Manager, click Remove All. Click Yes to confirm, all of your stored usernames and passwords will be deleted. 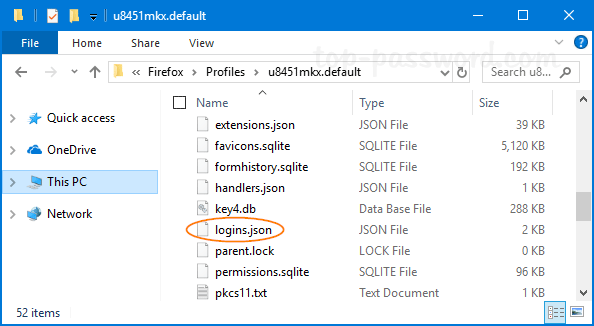 If you’ve forgotten the Master password or your Firefox browser is crashed, just delete the password file (logins.json or signons.sqlite) in the Firefox profile location and your saved passwords will be gone.